A pretty addition to your ceramic collection. 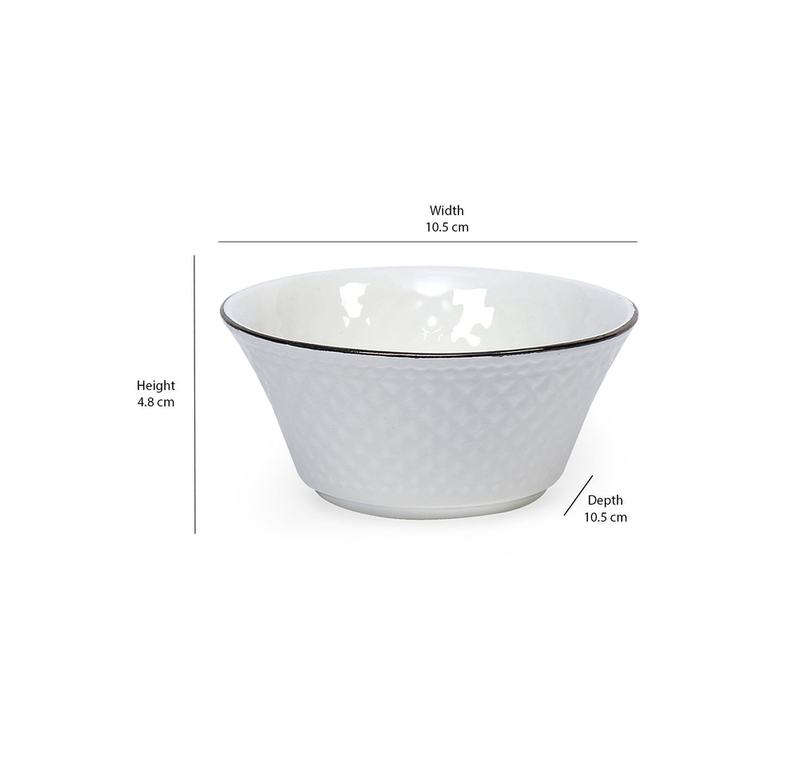 This Platinum Casper bowl set features a textured all over pattern on pristine white. The rim is given a thin black border to enhance the look. The set of six makes for a perfect companion when friends and family gather for meals. Use it for soups, dals, or even desserts; it ‘serves’ its purpose well. If you’re looking for a housewarming gift for the new neighbours, we’re sure they will love this one.